New ownership to fuel continued growth of BlueSnap as the leading global eCommerce marketing and payment platform for digital goods, online services and SaaS business models. Fremont, CA, August 8, 2011– (BUSINESS WIRE) – Great Hill Partners announced today the acquisition of BlueSnap Inc., from a shareholder group including Susquehanna Growth Equity LLC, BlueSnap founders, key management members and employees. BlueSnap enables businesses to “take charge” and assume full control of selling digital goods and services online. A business can choose BlueSnap’ simple to implement, hosted and complete application that uniquely spans the entire e-Commerce lifecycle, or it can deploy the new BlueSnap Buy Anyware TM API which allows it to integrate with existing solutions. 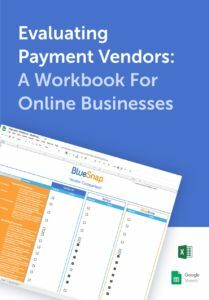 Both solutions help businesses successfully sell using secure global payments optimizing their ability to build new markets, develop business partnerships, improve sales and monitor performance metrics. BlueSnap has a rapidly expanding user base of more than 6,500 small to medium size business and rapid growth enterprises worldwide with a platform that supports many business models including SaaS and Cloud based solutions. With this strong growth in its seller base, BlueSnap has experienced equally strong growth in transactions, revenue and profit. Following the close of the transaction, the current senior management team and employees led by CEO Hagai Tal will work with Great Hill Partners to continue carrying out BlueSnap’ long-term business plan. important to reach the right prospects with the right offers and make the shopping experience as frictionless as possible. Converting them into paying customers is an even bigger challenge—and keeping them coming back to buy from businesses again and again is truly a science. Focus needs to be on using the right tools like dynamic subscriptions and geographically appropriate payment methods to increase average order value while boosting close rates to make the most of the traffic coming to a virtual store. This is the value of BlueSnap, and increasingly fast growth internet businesses are utilizing BlueSnap to monetize their businesses in these new markets. After the close of the transaction Matt Vettel, Chris Busby and Nick Cayer from Great Hill will join the BlueSnap Board of Directors. Raymond James & Associates served as financial advisor to BlueSnap in this transaction. Next Press Release BlueSnap selected by DudaMobile to help boost revenue stream.